GCU Today GCU employees not only helped to distribute turkeys and all the trimmings to more than 12,000 families at St. Mary’s Food Bank, but they also contributed funds, matched by Pono Construction, that amounted to more than 41,000 meals added to the St. Mary’s Food Bank Alliance menu. With every $10 contributed, employees earned a Turkey Ticket to win a chance to win courtside seats for a GCU men’s basketball game. The 2017 campaign wrapped up Nov. 28, which was Giving Tuesday, a global day of giving. The lucky winner of two courtside seats was drawn by none other than Butch Glispie, a favorite turkey co-conspirator. 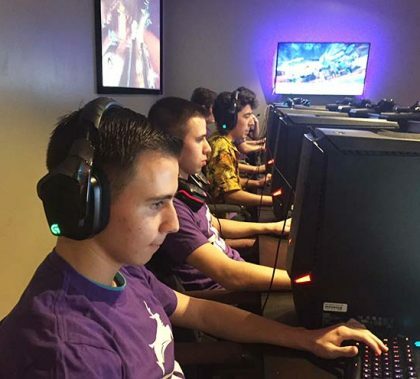 The six members of GCU’s eSports Overwatch varsity team met in January, but a striking synergy helped meld six minds into one Cinderalla team that made it to the Sweet 16 out of 220 teams and was the only Arizona team to make it to this far. 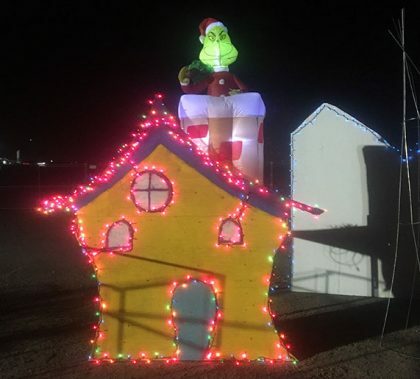 Santa found some unlikely elves in GCU mechanical engineering students, who spent more than 12 hours in the days before Thanksgiving helping a nonprofit group, We Are Their Future, build a fantastical Whoville-themed holiday display.